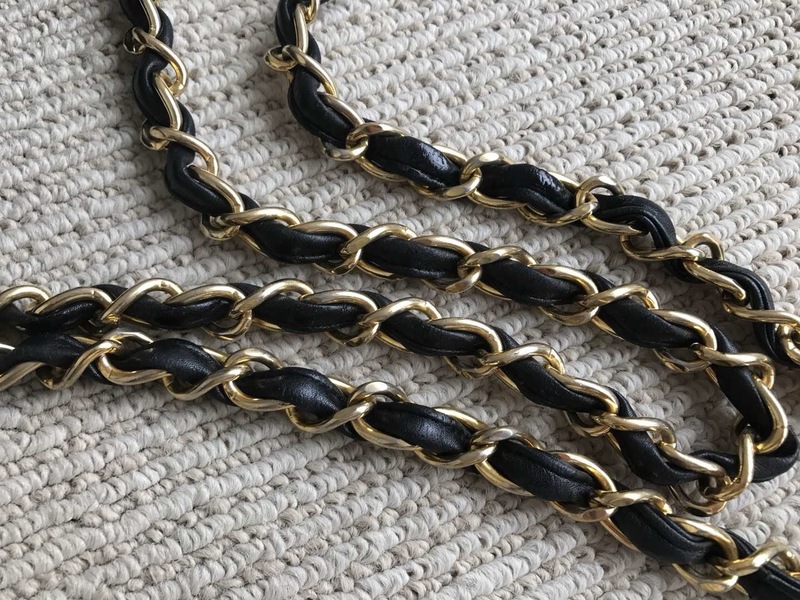 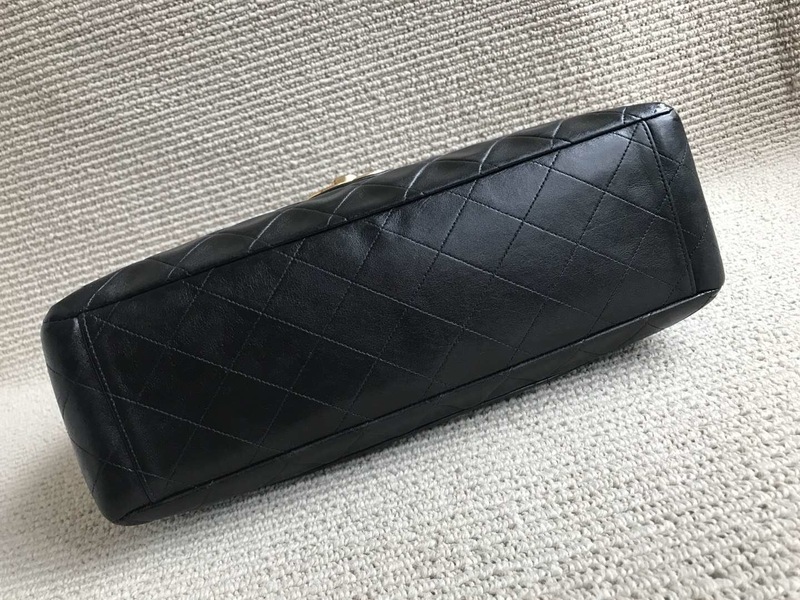 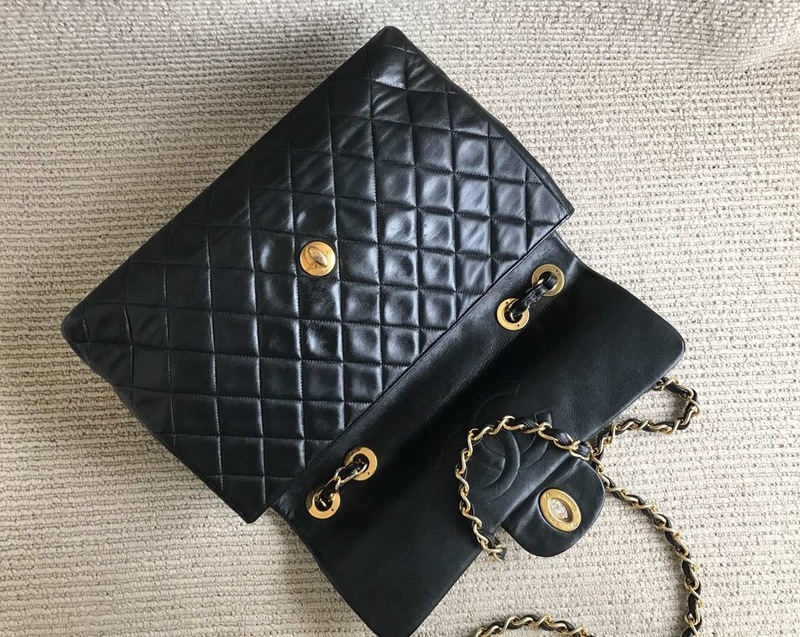 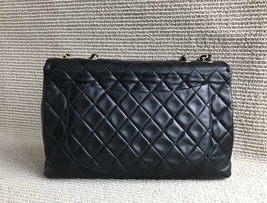 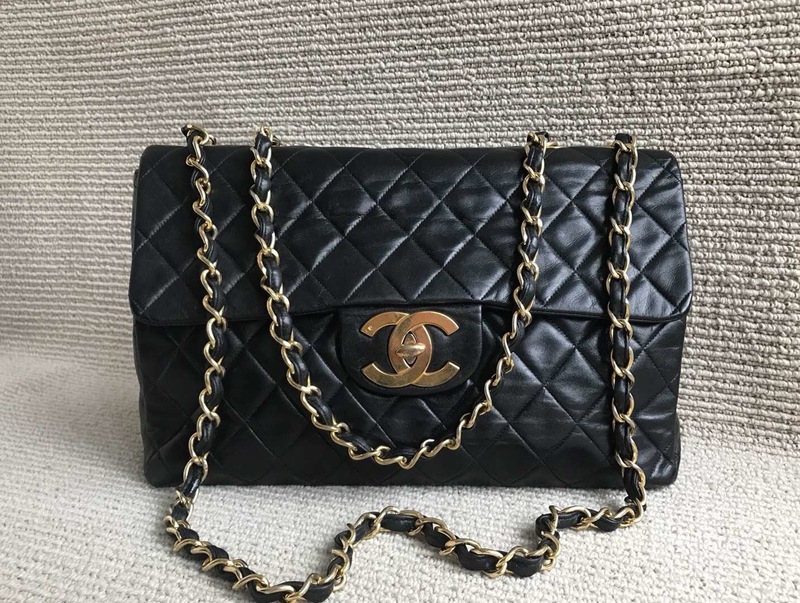 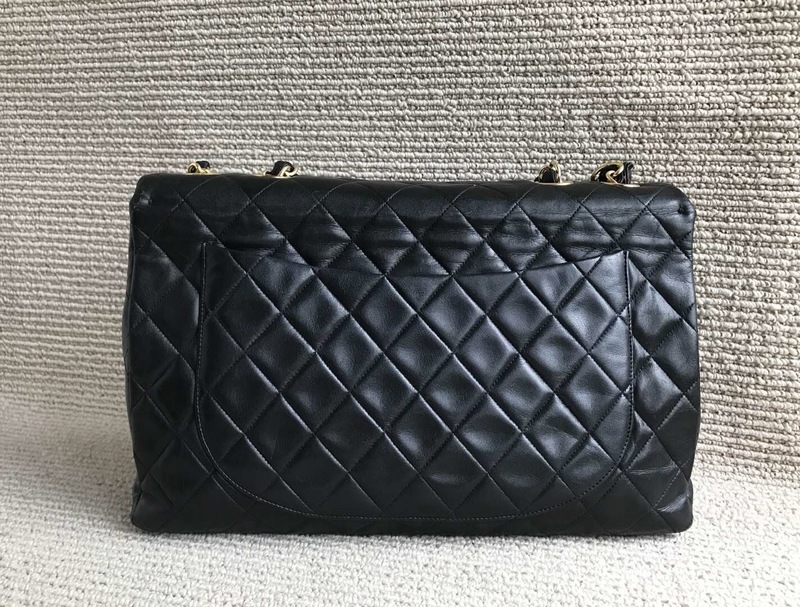 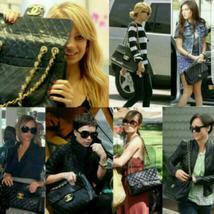 Black lambskin leather, Chanel Vintage Maxi Jumbo, Single Flap bag with tonal stitching, gold-tone hardware (large CC), single slit pocket at back. 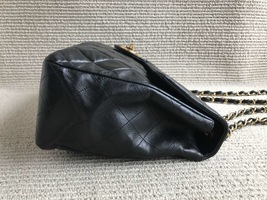 dual braided chain link shoulder strap, red leather interior lining, two interior pockets; one featuring zip closure and turn clasp closure at front flap. 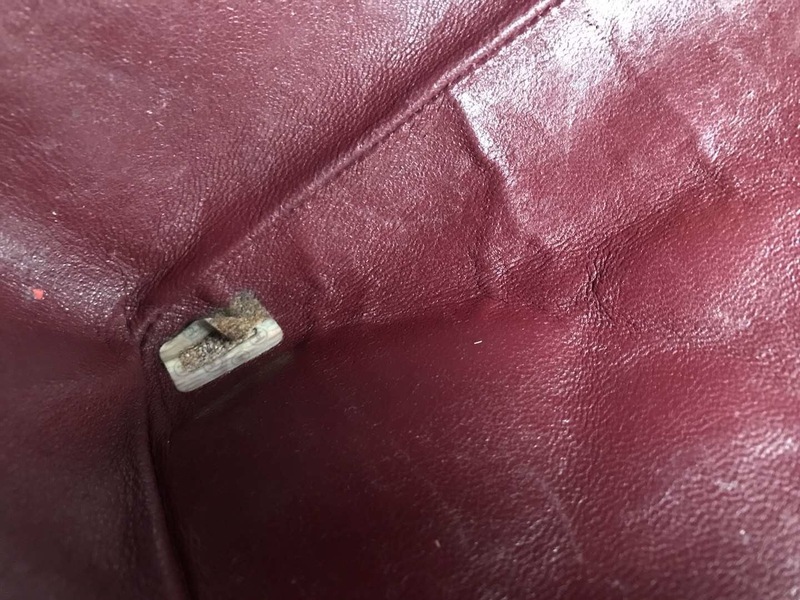 PLEASE NOTE THIS BAG HAS BEEN PROFESSIONALLY REFURNISHED AND DOES SHOW SIGNS OF USE. 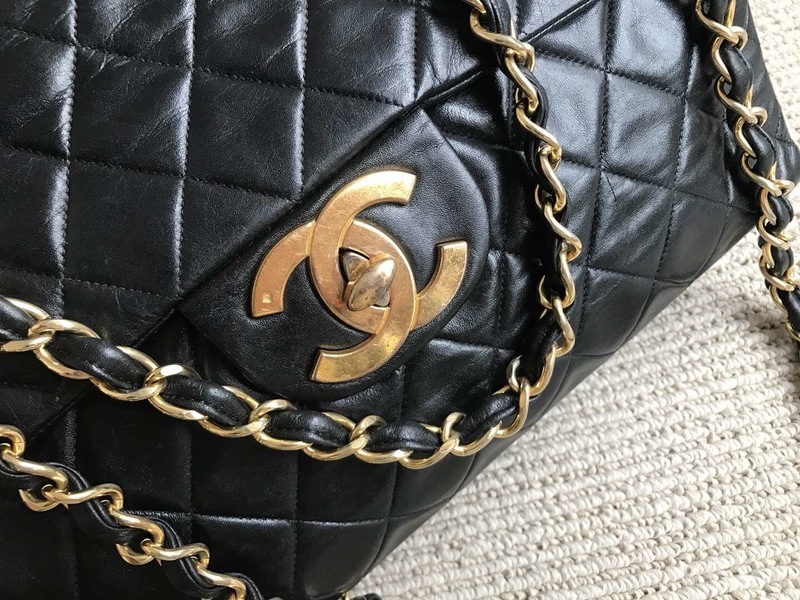 PLEASE REFER TO CLEAR PHOTOS. 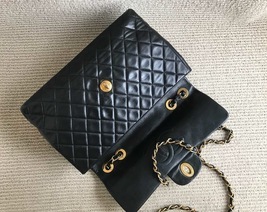 ALL SALES ARE FINAL SO PLEASE ASK ALL QUESTIONS BEFORE PURCHASING. THANK YOU.